It’s episode #109. And we’ve got plugins for Mobile utilization, Image Tooltips, Image Carousels, Social Sharing, and plugins for getting the most out of MailChimp and Genesis. 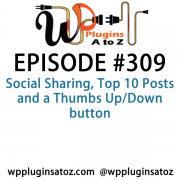 All coming up next on WordPress Plugins A-Z. 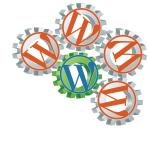 WordPress has become easier and easier to use over the past 5 years and as we know the easier it is to use the easier it becomes to break. 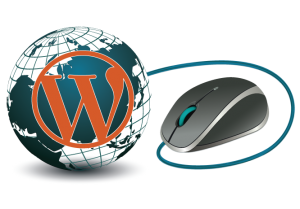 Do you find that you suddenly need some quick WordPress support & need to figure out that one simple task? Correct that simple layout issue or has something broken and you have the white screen of death. Or maybe you have received notification of a hack on your site? Visit me for Emergeny WordPress Support at WPPro.ca/Emergency for some quick tips or contact me and I can help you with live support via screen sharing or phone 818-850-7729. Something new has been brought to my attention http://www.cms2cms.com a service to convert CMS sites to another CMS site Presently, they offer migration from Joomla, Joomla K2 and Drupal to the latest WordPress, this platform is currently in beta so is free and I am looking for a test case to try out so if anyone has a site they want to convert to WordPress contact me and I’ll be happy to do it with this service as a test case. I love Typography is a site devoted to fonts, typefaces and all things typographical. (and it runs on WordPress) It’s a great site that is in my daily reading list. Fonts are really something worth studying when you have the opportunity. Sometimes an entire site can look completely different just because of the fonts. This blog helps you to recognize when to use what font through hundreds of examples already on the site and new ones being added each day. This looks to be a great little plugin if you are a Mailchimp user. 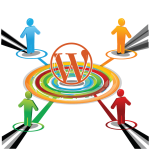 It will go out and get your newsletter you do up in Mailchimp and then import them back into your WordPress website. A bit of a reverse from the way i usually do things but still looks like a great solution if you use Mailchimp which many of my clients do. Makes sure telephone numbers are clickable on mobile devices. WP Image Carousel lets you easily add stylish, highly customizable image carousels to your site. WP Image Carousel (WPIC) lets you create image carousels by using a shortcode. WPIC includes an options panel which lets you add default settings to your shortcode for easier and even quicker use. This plugin utilizes the jquery plugin jcarousel lite to create the image carousels. This plugin also makes a call to the google scripts api to get jquery instead of load it from your site. This makes the plugin load faster on your pages and consume less bandwidth. PicTips provides a shortcode for images to be used as ToolTips. Like ToolTips but with pictures. Ever wanted to make your content more visual? With PicTips, you can! Hovering over an item with a PicTip enabled will display your chosen image.